This is a great juice for helping cleanse the liver, promote great health and boost energy levels. No need to peel any of these ingredients as the skins contain some vital nutrients. Just make sure to scrub the ingredients – even if they’re organic. Depending on the size of your juicer, you may have to chop up the produce to fit. Just squeeze the lime – minus the pips – and add to the juice at the end, before drinking. Beetroot – Beetroot is high in folic acid and manganese. The green leaves are high in vitamin A, Vitamin C, vitamin K. Mineral content include iron, magnesium, potassium, copper, calcium, and sulfur. Carrot – Carrot juice is rich in Vitamin K and contains good quantities of vitamins A and E. The mineral content includes calcium, copper, magnesium, potassium, sodium, phosphorus, chlorine, sulfur, and iron. Limes – Lime juice is an excellent source of Vitamin C. It also contains Vitamin A, E and K. Minerals include Calcium, and Iron. 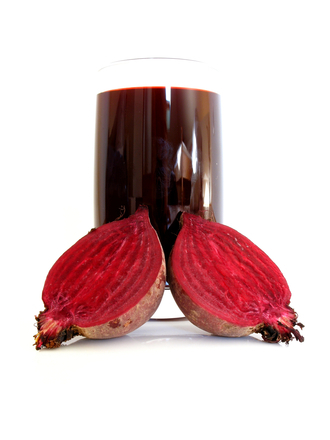 Beetroot – Some of the benefits of beetroot juice, include increases in blood flow to the brain of older people. Beet juice may also help lower blood pressure. Apples – Apples rank as one of the greatest fruits to juice for its detoxifying qualities. Apples not only aid in liver cleansing but they can promote lower cholesterol, stronger bones and healthier immune system. Apple juice can also improve eye health and prevent asthma. Carrot – Improves immunity and reduces cholesterol. Carotenoids in carrot juice has been reported to decrease risk of prostate, bladder, colon and breast cancer. Vitamin K, present in Carrot juice is essential for the protein building. Carrot juice cleanses and detoxifies the liver. Carrot juice can also delay the ageing process and fight sun damage to skin. Ginger – Well-known for its numerous health benefits, including its benefits to the immune system, to increase your appetite, can prevent various types of cancer, aids digestion, reported to enhance sexual activity(Nice one! ), and aids with nausea, and flu. Lime – The health benefits of lime include promoting weight loss, aids with skin care, improves digestion, relieves constipation, and improves eye health. The limonoid compounds in limes have been shown to prevent cancers of the colon, stomach and blood. So, what you waiting for? 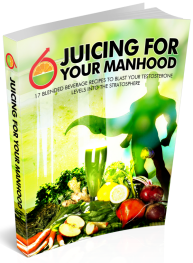 Fire up that juicer right now and get juicing. You’re gonna love the finished product. Enjoy and tell me how it was in the comments field below.